Erlanger, KY – Jewel-Craft’s story is the definition of the American dream: a family owned and operated business that has spanned 4 generations. Born in a basement, built on a dream, and dedicated to perfection, Jewel-Craft is guided by every single person that has walked through their doors since 1947. 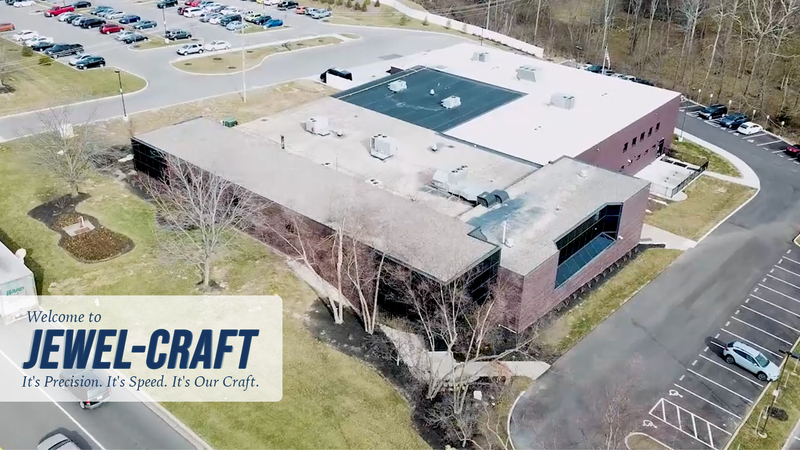 More than 70 years later, Jewel-Craft is opening new doors to reach even higher standards, expanding to a 50,000 square foot facility, almost doubling in area and adding ten new offices for managers and administration. 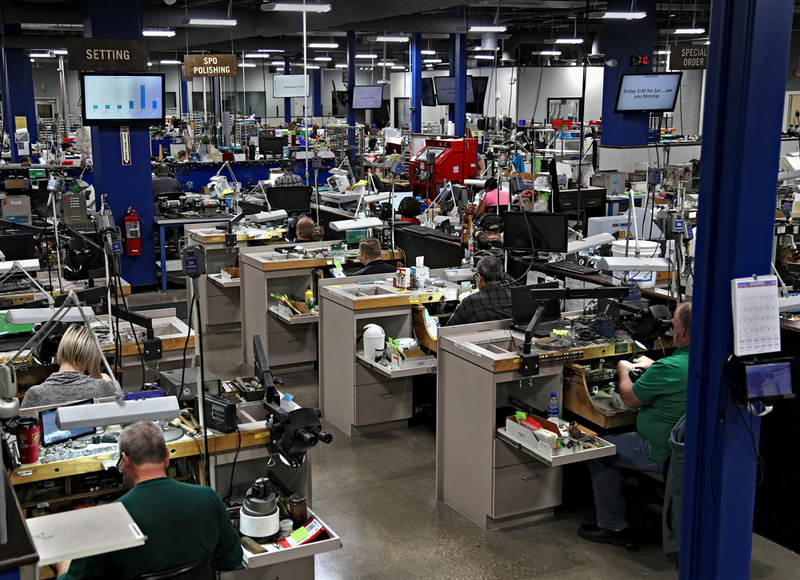 The new additional space and upgraded technology in the facility has helped elevate Jewel-Craft’s services by improving communication, expanding workspaces, and installing new systems. 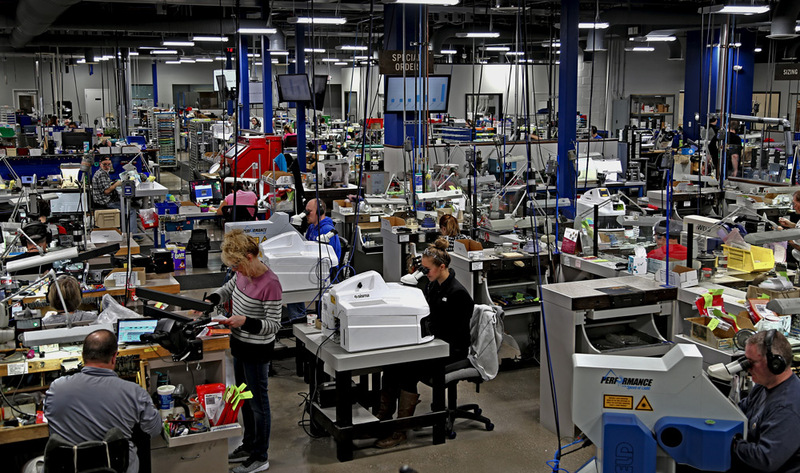 Jewel-Craft has utilized the 20 thousand sq ft expansion to clear out the entire shop and lay out all the departments in a more efficient manner, keeping in mind “lean” manufacturing and workflow. Because the last Jewel-Craft home was at capacity, they were not able to dedicate rooms to departments such as enameling, customer service, or data entry. Now, each has their own room, helping the departments run seamlessly and efficiently. For example, Jewel-Craft’s upgraded facility now has a new clean room dedicated to plating, ensuring the delivery of consistent quality results and improving maintenance of the area. During the expansion, all departments were moved in the process, making way for a new three bay secure loading dock with semi-truck access as well as a large shipping and receiving area. New systems such as an improved polishing vacuum system as well as upgraded security entrances have been incorporated into the main level of the building. A new camera system has resulted in an upgraded security presence in the facility, tracking work throughout the shop and helping to keep processes and workspaces organized. Also added in the expansion are new employee areas in the facility, including a smart-age cafeteria, additional bathrooms, a fitness area, and an outdoor patio. “There’s something that my grandfather and father always said, ‘you either grow or you die,’ we have kept that thought, to where we want to keep pushing forward, and we never did look back,” says Benet Wesdorp, COO, President, and co-owner of the jewelry repair business. Today, Jewel-Craft is still growing both literally and in its accomplishments.